This early work by Sebastiano Ricci, which was the subject of an enthusiastic commentary by Rodolfo Pallucchini, has been dated to around 1694. In 1691 the artist was in Rome where he worked for the Colonna family, then in 1694 he was in Milan where he executed the decoration for the church of San Bernardino alle Ossa. Two years later Ricci settled in Venice where he married, executing numerous works for the city and for nearby towns such as Padua. Following his trip to Rome, Ricci’s style underwent a notable change due to the influence of Roman Baroque art and his knowledge of the work of Pietro da Cortona. 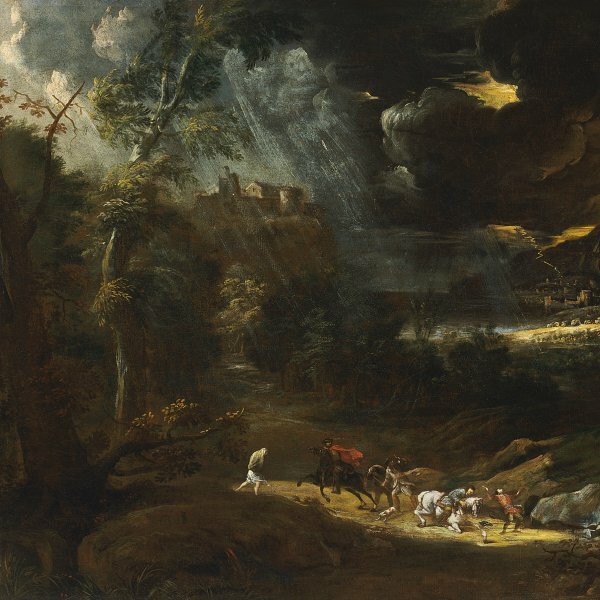 Both these influences are evident in the present work, as is a more pronounced emphasis on effects of light in comparison with his earlier paintings. Ricci depicts Mary Magdalen reclining on a rush mat, her body forming a pronounced diagonal line that is emphasised by the figure of the small angel seen from behind in the foreground holding a penitent’s whip, and the great wing of the angel behind her who supports the saint in its arms. Ricci balances the composition on the left through two more angels with curling locks and two cherubim that watch the scene with great interest. This typically Baroque compositional structure was invented by Giovanni Battista Gaulli, Il Baciccio (1639–1709). The canvas depicts one of the best-known episodes in the life of the Magdalen and focuses on one of her ecstatic experiences. 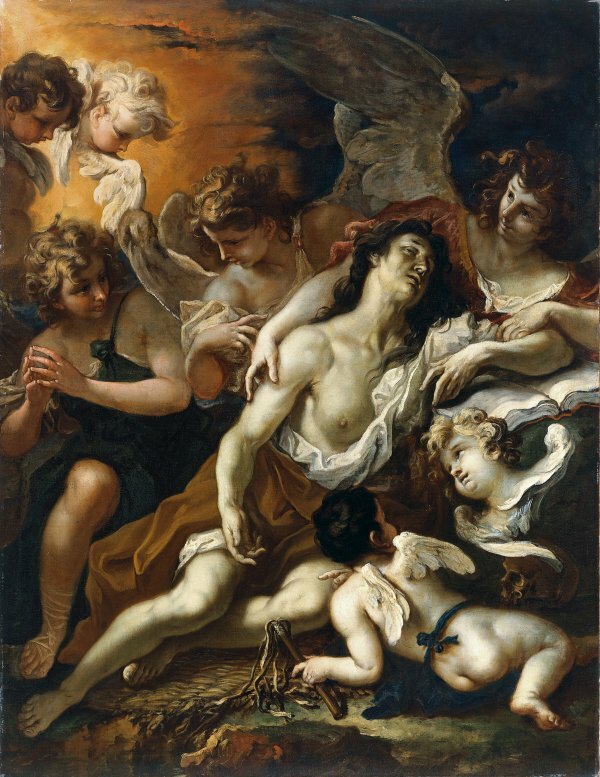 Exhausted by her penitence and meditation — indicated by the open book that she rests on the skull under the cherubim on the right and the penitent’s whip held by the angel in the foreground — the saint faints in the arms of an angel who will transport her during her ecstasies to Paradise. The canvas was acquired on the Italian art market for the Thyssen-Bornemisza collection in 1977. The report written on the painting prior to its acquisition notes that in 1956 the canvas was in the Palazzo Soranzo-Venier-Van Axel-Barozzi in Venice, and that twenty years later, in 1976, it was still in Venice, in the Ferruzzi Balbi collection. A notable feature of the composition is the very masculine depiction of the saint with her surprisingly muscular body, thick neck and hard, unattractive features. This is even more striking if the figure is compared to the beautiful, sweet and soft angels surrounding her. Were it not for her prominent, bare breast, the figure’s physical type would suggest a different title for this composition. The painting has been compared to The Guardian Angel that Ricci painted for the altar Santa Maria del Carmine in Pavia at around the same date as the present canvas.